This morning I went snorkeling at Fisherman’s Cove in Laguna Beach for the third time. I like this spot a lot and so I want share it with my readers. 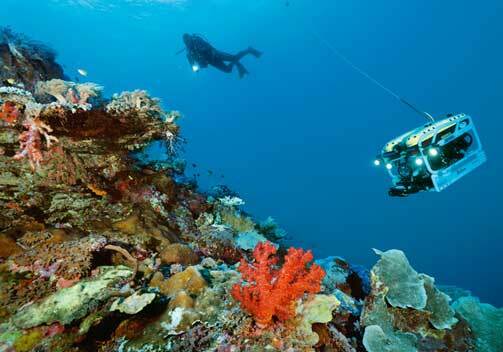 I’ll include a description, photos, maps, marine life, and links to other dive sites. The cove is right off PCH in Laguna Beach, turn onto Cliff Drive and immediately look for street parking. Most of the time I find a spot, but, if not, metered parking is available if you take the first left and go about 200 feet. That is also where the entrance to the Cove is. Suit up, grab your gear, and head towards the entrance. Go down the steps and take the concrete path all the way to the sand. There you will find a nice secluded beachfront with a lifeguard tower, a few beachgoers, SUP’ers, and a nice rocky landscape for you to explore. On the left, is a sheer rock face that you can launch in front of on small days. Keep a good distance away from the bluff and follow it out to sea. It’s pretty shallow and you can see tons of fish, mollusks, anemones, and more. In the middle, a bit offshore, is a rock cluster that is great to swim around. You can see it from the shore with waves crashing against it. There are plenty of nooks and crannies to swim around and even dive into. Plus, it’s a great middle-point as you snorkel around the perimeter. On the right, are a series or rocky outcroppings, like little peninsulas, that continue to jut out farther and farther as you swim out. These are ideal for snorkeling because an abundance of marine life hides in all of those mini-coves. Follow the outcroppings all the way around to the next cove, which is my favorite route, or you can head over to the middle rock cluster mentioned above. It is usually best to go when the waves are small and the sunlight is good. This often changes but I’ve gone out at 9am, 12pm, and 3pm and had a blast. It all depends on the conditions. You can scope it out before you go using Surfline for wave size, wind speed, and water temperature. Rockpile as the nearest spot. The amount of wildlife is amazing. I’ve seen nearly everything you can in Southern California waters from the famous Garibaldi to a huge stingray, octopus, and colorful snails. For list of species you will find check out Cabrillo Aquarium’s marine life profiles. 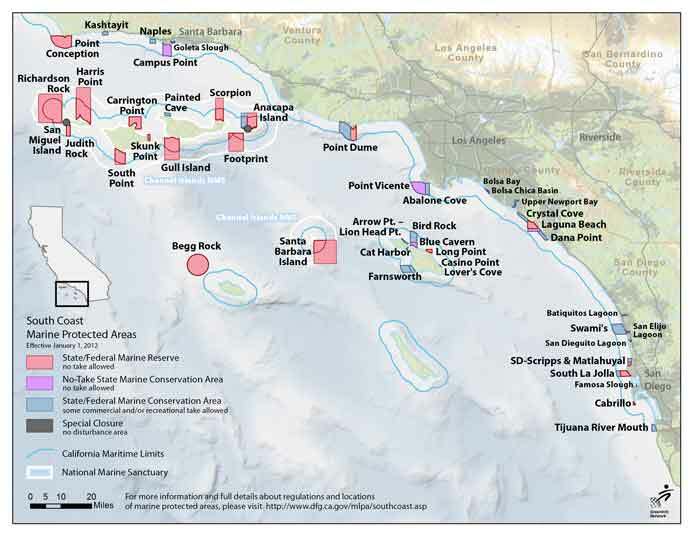 Here is a great resource for learning what is hanging out in the coastal waters of Southern California. The Cabrillo Marine Aquarium is home to more than 200 species of animals that live in and around the waters of Southern California. Sand Dollar – You can’t spend these dollars, they are relatives to sea stars. Garibaldi – the California State marine fish and may live as long as 12 years.